E & C's Pod of Awesomeness Recap w/ Tony Schiavone - Women to Main Event 'Mania, Favourite Commentary Partner, What Was the Beginning of WCW's Demise? More! E & C’s Pod of Awesomeness Recap w/ Tony Schiavone – Women to Main Event ‘Mania, Favourite Commentary Partner, What Was the Beginning of WCW’s Demise? More! Edge and Christian open today’s show by speaking about the announcement that Ronda Rousey, Charlotte and Becky Lynch will main event WrestleMania. They both predicted this a while ago, and Edge thinks all three women are very deserving. He thinks this is the hottest angle in the company, and it deserves to go on last. He notes that the company’s hottest angle should always go on last. There have been times when WWE didn’t pay attention to this, like when Jericho and Triple H had to follow Rock & Hogan at WrestleMania 18, and that’s not an enviable position to be in. 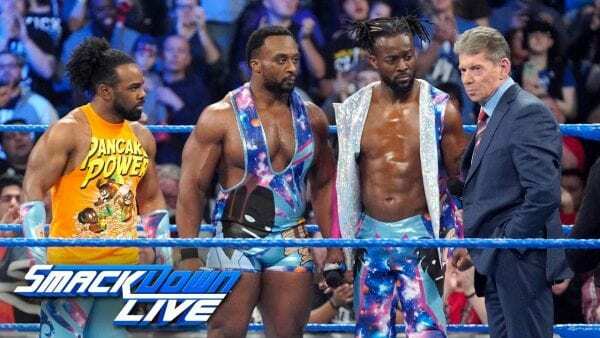 Christian thought it was good booking by WWE to involve Big E and Xavier Woods in the WWE Title angle with Daniel Bryan and Kofi Kingston. The New Day have been bonded together in this from the get go, so it was neat to see Big E and Woods win a Gauntlet match to book Kingston’s ticket to WrestleMania. Edge says he recently caught up on the Fatal 5-way match on NXT from a couple of weeks ago, and he thought it was a really well done match. All five men are super talented and very unique in their own ways. He notes that Fatal-5 ways can be difficult to book, but these 5 men put on a great match. Edge informs that Natalya visited him and his wife (Beth Phoenix) this past week. He notes that Nattie is such a good person and a lot of fun to have around.